Editor’s Note: Christmas is almost here! But what might be a Chinese international student’s experience with Christmas? While in China, my first memory of Christmas was writing cards to all my classmates in primary school. At that time I did not know the true meaning of Christmas. I vaguely understood it had something to do with Santa Claus, gift giving and going to church. By the time I went to college, Christmas had become more popular China, though it was not considered an official holiday. I begin to see stores decorated with lights, snowflakes and Santa Claus. There were a lot of stores advertising sales. And when I entered the stores there was Christmas music playing in the background. And, I noticed that friends would gather together for a meal or give gifts to one another – though it was with friends and not family members. 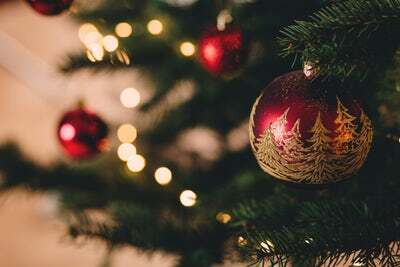 Other than the commercialized aspect of Christmas, many young people began to realize that Christmas had something to do with the Christian faith. I saw that many government-run churches had Christmas Eve services that were packed with people. packed with people on Christmas Eve. The Christmas after I became a Christian, I attended a church in Shanghai with my friend. It was so full with people that I almost had to stand on one foot! What surprised me most were the songs they sang there. They were the same songs I had heard in the stores but I had no idea that they told the stories of the Gospel. Many Chinese students may have a similar experience as me if they are invited to a Christmas Eve church service. Their understanding of Christmas is incomplete. Many of them might be curious to check out what Christmas is really all about since it’s the biggest holiday in the U.S. It is a great opportunity to explain to them the traditions and cultural aspects of Christmas, as well as the rich meaning of the Gospel foretold through the Christmas story. Reflecting on how you or your family celebrate Christmas, what are biblical and what are cultural customs? How can your heart be focused on the real meaning of Christmas this season? What are some ways to invite your Chinese friends into the celebration of Christmas? How would you share what Christmas means to you to a Chinese friend?